I snagged these titles in the DriveThruRPG January sale. 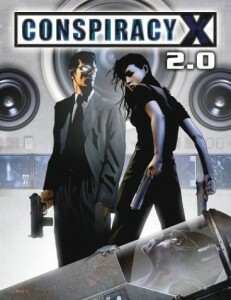 There’s not much to be said about Conspiracy X, other than it’s standard Unisystem (classic) stuff. It repeats the system from AFMBE and Terra Primate, including chunks of psionics, qualities and drawbacks, etc. It does a couple of interesting things, though. It provides templates for (US-centric) government and military forces. OK, you could construct these “skill packages”, but it’s nice to have something pre-made. Also it’s interesting for the sheer breadth of occupations listed; it does give a sense of a global network where no-one really knows what’s going on. The best parts are the “pulling strings” qualities and the “cell creation”. The former are qualities where you can exert influence to get things done–summon accomplices, call in air strikes, use external laboratories, and so on. Cell creation deals with creating your own little base of operations. Locations, facilities, staff and other resources are all point-buy. I could see this being a real fun activity for the party (and a nice source of inter-departmental tension even before the missions start). The nice part here is they’ve incorporated all the weapons, vehicles and other equipment lists. Everything costs departmental resources. It’s pretty old-school to demand players to itemise their kit like this, but should add to the immersion. Add that together and you should get an autonomous cell of characters with a range of departmental strings they can pull and a place to call their own. And of course the presence of their cell implies goodness-knows how many other cells worldwide, connected to however-many agencies. Conspiracy? You bet. Well, mostly. There’s not much in the way of antagonists. There’s a potted history at the back which I haven’t read yet. Since I’m more inclined to use this game as a toolkit, I’m not so bothered. Still it does the usual Unisystem job of padding the book with yet another version of the rules. This book could have easily been an AFMBE sourcebook, but since it’s a brand in its own right, it gets its own line. It’s not the best value (full price) if you already have other Unisystem corebooks, but the Cell creation is a unique feature that adds a lot of value; I can already see potential with supers (a la Planetary), supernaturals, and even Transhuman/Cyberpunk Space (making use of All Tomorrow’s Zombies). Of the four corebooks I own, this is probably the one I like the most just because it does modern organisations so well. However if all you want is an antagonist faction with defined resources, there is a simpler alternative in the Angel RPG–that one does corporations, sects and government cells adequately. Looking at the first few pages I can feel the controversy dripping off this one, that lead to at least some people saying/thinking “oh, that’s the game with the child abuse”. That closes a portion of your audience off, on principle. Let’s be clear. 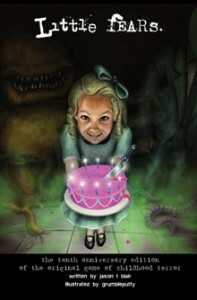 The author mentions abuse, and says it happens to innocents, and suggests how it might affect characters. He also says its inclusion in the game doesn’t mean you should use it in your game. He treats the subject as sensitively (and briefly) as possible. That controversial style of play is True Horror (“removing some fantastical elements and adding more humanity to the story”). The author states (in his white-on-black annotations–this is a 10th anniversary edition) that while that was the play style that attracted the most attention, hardly anyone he knew played in that way; they would stick to the nightmarish fantasy of monsters in closets, etc. In some ways Little Fears is the pre-teen equivalent of Buffy with more focus on innocence and magic through belief, and with a defined enemy pantheon (the seven Kings of Closetland). There are some good guys, the “Divine Host”. Between the original and this edition the Divine Host have lost some definition. In the original the presence of a defined “good pantheon” was suggestive of a supernatural war, something that glossed over the very real, personal horrors felt by the PCs. The author deliberately made the guardian angels of the Divine Host nebulous to return focus to the children and their own ability to overcome evil. There are a couple of nice mechanical touches. For example, the character generation includes a questionnaire with questions like “what’s your (nick)name?” and “who is your best friend?”. These are not just window dressing; they have a mechanical function since later on we’re told exactly how the monsters of Closetland use the answers to get you. Other mechanics are pretty much what you’d expect if you’ve played Adult horror games with insanity mechanics–you gain Fear, you lose Innocence (and lose too much Innoncense and you become Blind to Closetland, like an adult). Dice rolling is all about rolling a number of d6 and picking the highest value you roll on any one die–the modifiers are Qualities which add dice (though Negative Qualities that apply force you to take the worst result, not the best). It’s simple enough, though it requires claiming attributes which is not a mechanic I am wild about. One interesting feature is how kids oppose monsters: when kids fight monsters they roll against a static number rather than an opposed roll against the monster. In other words if the monster gets the kid, it’s due to a failing of the child, not because the monster is monstrous. It makes a nasty sort of sense, although causes me to raise an eyebrow when combined with the True Horror style of play. As for Closetland–each King is described, although mostly stylistically rather than mechanically. I would have preferred to read a bit more practical advice on using them as opponents, and less about how to roleplay them. There is advice on how one crosses over into Closetland, and back again. Closetland is (as you would expect) like the Umbra and Penumbra in the WoD–a fantasy world that overlaps (or invades) ours in places. Making the inevitable comparison with Monsters and Other Childish Things, Little Fears is not a game to be played for laughs (or even black comedy). Actually much of the tone that Dreadful Secrets of Candlewick Manor tries to exude (poor orphans, weird uncaring and dangerous world) is much more effectively brought to life. It does beg the question whether you can have too much of a “good” thing. 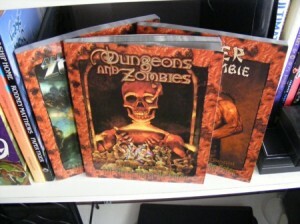 Since I found the Unisystem and AFMBE, I’ve been after a paper copy of Dungeons and Zombies. That’s Dungeons And Zombies flanked by Enter the Zombie on the right, and All Tomorrow’s Zombies on the left. 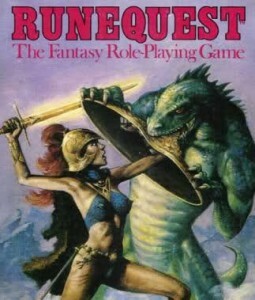 The cover is a nice pastiche of the PHB. DnZ has a superb web enhancement by Jason Vey that turns the supplement into a Cinematic Unisystem game, which should make it nice for not-too-serious one shot games. DnZ’s main offerings are new racial qualities for fantasy races, some rules for fighting with shields, and magical invocations. The races I can take or leave, since I don’t care for Tolkein-esque fantasy. The magic is fairly bland but functional; I like the Summoning/Focus/Dismissal approach. Spells are purchased as skills so they work more like discrete powers than flexible spur-of-the-moment sorcery (something that can be addressed using the Cinematic web enhancement). EtZ brings martial arts, “chi powers”, and rules for zombie PCs. The martial arts are good although they compete with all of the combat moves from the Cinematic lines. Chi Powers are also great; they’re arguably no different from spells, though they have more instantaneous effects and are geared towards the wire-fu genre–they make a very nice alternative to Feng Shui. Zombie PCs are just fun–they’re derived from the main Zombie “breed” of the deadworld, so they could be any type of undead you care to imagine, given the broader scope of Atlas of the Walking Dead. ATZ has the broadest scope, and covers cyberware, bioware, and nanotech, as well as spaceships, psionics and future skills. There are some nods towards transhumanism, and definite synergies with Terra Primate are possible to achieve something like Eclipse Phase (if that system doesn’t grab you). Overall AFMBE’s strength lies in distilling and re-stating the fundamentals of genres, enabling rapid assimilation of the rules by players and allowing the GM to mash up genres with ease. That’s a really, really great thing for one shots. I wonder if there are some limitations for campaign play–for example, that the sorcery presented in DnZ lacks depth (something I haven’t found in the Cinematic lines). That quotation is from Lenny Balsera, commenting on Ryan Macklin’s post. Vampire handles the Humanity vs Beast inner conflict this mechanically through Humanity, Willpower, and Virtues. You know the weird thing? When the power-creep set in and stats began being inflated above 5 dots, Virtues did not improve. Imagine your 19th level Fighter/Mage/Patissier never improving on his first-level saving throws. And they’re odd little stats anyway; they’re on a scale of 1-5 when everything else is on a scale of 1-10. They’re tucked away in the bottom-right of the character sheet like an obscure second cousin screwing up the seating plan at a wedding; no wonder all we ever did with them was make small-talk. The problem with Humanity is not visibility, it’s gameplay effect. Certain dice pools are limited to the Humanity rating (1-10); these include Empathy rolls, Virtue rolls and all dice pools during daylight. That’s great! Except that it’s absolutely impossible to generate a PC with a Humanity score below 5 at character creation, and at the same time there aren’t too many dice pools above 5 that would be frequently affected. Vamps lose Humanity according to a “heirarchy of sins” which is not difficult to circumvent. The other issue is hunger, which should be a prime motive for vamp behaviour. In VtM blood point consumption is fairly low for survival, but high for discipline use. So to avoid losing blood, don’t use disciplines that are powered by blood: no celerity, or blood buff, or healing. This means if parties practice an avoidance strategy the need not spend much blood at all; they can still use all of the other tasty mind-warping powers (plus Fortitude and Potence) for free. By avoiding combat they avoid hunger and avoid those annoying Humanity checks. Simples! There are commercial systems available that can achieve most of these aims with minimal tweaking. Here are some suggestions. 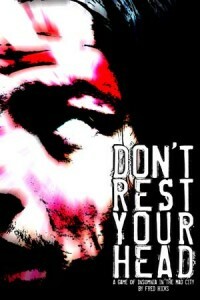 Don’t Rest Your Head is almost a drop-in for this kind of game, as long as you don’t expect the characters or campaign to last too long. Substitute Hunger for Exhaustion and you’re mostly there; now it’s hunger rather than tiredness that both gives the vampire its power and threatens destruction. Madness becomes The Beast; by giving into the Beast the vamp can access their supernatural powers. But if the Beast dominates, they may Frenzy; a Frenzy is basically a fight-or-flight response. Both use of The Beast‘s powers and overall Hunger can lead to bad consequences. In the “vanilla” DRYH, Madness leads to snapping and Exhaustion leads to crashing. In this case, substitute snapping for degeneration. When the vampire degenerates it gains a point of permanent Frenzy, which manefests as either a beast trait or a derangement, and roleplay appropriately. Either traits will severely limit social interaction. 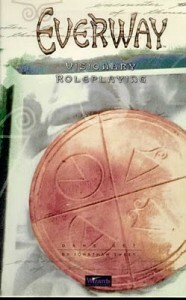 The GM may also spend a despair token to force the vampire’s derangement to surface. For Hunger, once the number of Hunger dice exceeds six, the vampire comes under the GM’s control and will slake their thirst however they can. This will more than likely be a masquerade violation and could very well end the character. In regular DRYH it’s assumed that the mad city has caught up with the character, so in Vampire assume that the Camarilla intends to clean up. If you want to work in some politics you could implement a “three strikes” policy, maybe even get the PCs to work off a strike with political favours. But that’s outside the scope of the system, so I’ll leave it for further development. 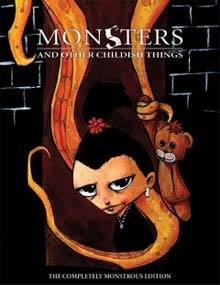 What does Monsters and Other Childish Things bring to Vampire? The monsters in MAOCT are extradimensional terrors which have somehow emotionally bonded with children. The system makes heavy use of Relationships, noting that Monsters eat Relationships. That sounds like a vampire to me. Using this game for Vampire requires some reinterpretation. The monsters in MAOCT are supposedly visible to the children, but not to adults or anyone else except for a few shadowy monster-hunting antagonists. However the effects of their mayhem–such as devouring the substitute teacher–are very real. There’s the obvious suggestion that the children are monsters and have made up their imaginary friends to account for something worse. MAOCT probably doesn’t suit an “adult” Vampire game, but a high-school game for the Twiglet or Teen Wolf genre would work. Relationships are the key. Children can loan their relationships to their monsters, but if the monsters lose a fight while using them, those relationships get shocked. That’s a nice mechanic for illustrating the teen vamp giving into the Beast, and the damage it does to their family relationships. Normally relationship dice are used to boost the pool in the right situation; but for a Vampire-style MAOCT game they may have a very specific function–to shield the character from the authorities. Take it for granted that the character’s vampirism will be noticed by the various MIBs, argents and other vamps; but while the PC is protected by a relationship (teacher, family or friend) the hunters can’t touch them. Relationships are a finite resource, however, and could even be attacked (there are rules for doing this in MAOCT’s relative Wild Talents). Since MAOCT is usually played for laughs, it’s assumed that the monster will get the character into trouble, so players can expect not to be in complete control of their monster. And there’s the rub: the loss of control aspect of Vampire should be something that the players avoid at all costs, but in MAOCT it’s accepted, expected, even encouraged. That doesn’t make the game particularly horrific when they PCs can lose control by consent. Still, this system could be used to run a teen vampire game effectively. All the comments about the helplessness of children with monsters apply equally to children with supernatural powers that aren’t under their control. The power levels of the monsters probably should be given a bit of attention. 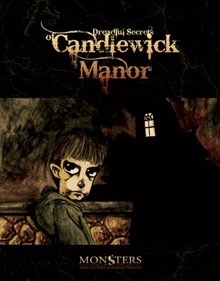 Candlewick Manor’s creepy skills could be a good starting point. I picked one “traditional” option; this is mostly just a mechanical replacement for Storyteller based on my preference. I did consider VampORE, but that idea isn’t fully formed yet and in any case MAOCT does ORE simpler and better. There are a lot of metaphysical power options to translate the magic and action mechanics from VtM to Unisystem, but you could do that with any game (although Enter the Zombie covers undead PCs and Witchcraft is arguably Eden’s version of the WoD, so it’s not a bad starting point). The question is how can Unisystem cope with the loss of control, the estrangement of friends and family, and the masquerade? The Abomination Codex has useful rules on Taint, a kind of insanity trait. Unlike CoC’s implementation of Sanity where investigators lose points, Taint is gained; at certain thresholds (multiples of the Willpower trait) characters will gain mental problem disadvantages, and may also change physically. There are also Taint Powers, which include infecting other people with Taint. Taint is the antithesis of Essence (the creative metaphysical force in the Unisystem) and is used to power a twisted version of regular magic. It’s a nice expression for the vampiric blood curse–the players should be aware of the temptation to use their powers, the way their powers pervert their minds and bodies, and the fact that there is a benign, creative essence in the universe and they’re not part of it. Taint is related to the Mad Gods in the vast Witchcraft metaplot. Witchcraft has its own brand of vampires (vampyres) as well as a lot of other secret society stuff; if you want to play all of that you’re probably better off playing Witchcraft straight as an alternative to VtM. I’d advocate lifting the Taint rules and inserting into a less conspiracy-charged system like AFMBE. Like MAOCT, this approach probably suits a Vamps vs Hunters type of game; in this case the Hunters are Essence imbued and can “smell” Taint if it’s used. Taint therefore does two duties; a mark of the “curse” that could lead to loss of player control, and a masquerade breaker. Swap the word Taint for Wyrm and it drops into the Werewolf mythos nicely, too. p>Project Nemesis is a free supernatural conspiracy game published by Arc Dream and also using the one-roll engine. Although it’s based on mortals, its four-axis approach to insanity (lifted from Unknown Armies) is interesting and is very comprehensive in detailing response to different kinds of mental trauma, even if it doesn’t actually take control away from players the way a vampire’s Frenzy should. Worth a download. The Sabbat‘s use of Paths turns this mechanic on its head, almost to the point of religious dogma. Instead of Humanity proscribing what the vamp shouldn’t do (making loss fairly easy to avoid), the Paths tell the character what the vamp must do to preserve their Path rating. This is either a very interesting way to enforce behaviour on your character, or an excuse to behave badly. I don’t own Vampire: Dark Ages but I’m aware of its use of Roads. 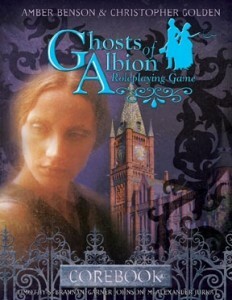 Ghosts of Albion finally turned up, along with a cheap copy of Terra Primate. Now, what turned me on to the whole Unisystem line was the modular nature of the systems, which fit together well enough for a range of options for low powered, urban or science-fantasy games. Just as AFMBE serves the zombie genre way beyond Night of the Living Dead, Terra Primate goes beyond Planet of the Apes. It gives a grounding for any kind of enlightened ape scenario – genetic enhancement, natural selection, mutation; humans as equals, as superiors, as slaves, as aliens. The product is impressively focused on what’s important in the setting – namely how humans and intelligent apes would react to one another. Gamegeeks review here, Gentleman Gamer review here. Ghosts of Albion promises a Victorian Buffy-esque romp and delivers. 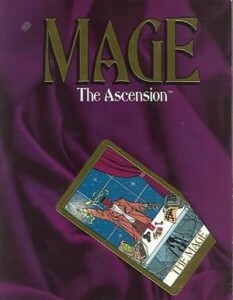 The magic system is comprehensive and clean, and it presents faeries and ghosts as well as a completely different type of vampire to the Buffyverse kind. Gamegeeks review here. Basically, more monsters. Qualities for monsters and monstrous characters that complement the demon creation system in Angel. A lot of Buffyverse specific monsters. All of the spells from the series. Hey, it’s useful to have lists. How to bring Witchcraft spells into your game. Another spell creation system. I’ve yet to play with it, but it looks as good or even better than the Magic Box. Victoriana, if you like that sort of thing. Considerations for intelligent apes. With thought, could be turned to any intelligent race evolved from an animal. Dinosaurs, anyone? Qualities for humans in an ape world (assumed the same for all Classic Unisystem). Zombie Creation. Basically, even more monster qualities. The key here are the qualities around spreading the zombie plague, and how fast/strong/aware the zombies are. A load of ideas for deadworlds. A load more qualities for zombies. Undead from around the globe. The same depth and quality as I’ve seen in Chill supplements. All the different magic systems you could want. I generally find them harder to use and less flavourful than any of the equivalents in other games (including psionics, which is identical to Terra Primate). p>That’s it. There’s a ton of other settings – especially for AFMBE. Most importantly all of the differnt options hang together very nicely. I’ve been going a bit Unisystem crazy recently. I blame Kurt Wiegel and his inspiring fanboy reviews. Thing is, Kurt has such boundless optimism and positive attitude towards products that he likes, it’s infectious. 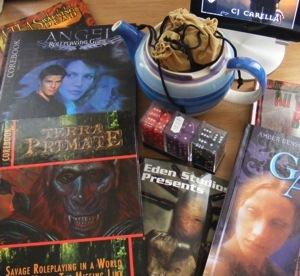 The cheap copy of the Angel rpg was the gateway drug – before I knew it I’d bought three AFMBE books, a couple of Buffy sourcebooks off a certain popular auction site, and my copy of Ghosts of Albion should be in the mail. Man, I am really excited about GoA. 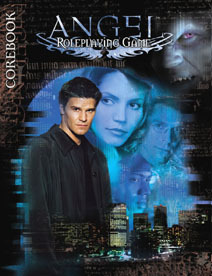 I was already set to run Helmouth (Buffy / Hex / Morning Glories in an English boarding school on the river Hel) using Angel, Magic Box and Monster Smackdown. If the promise about GoA is true then the magic system will be even better. There’s just one thing that’s weird. Rolling one die. Yes, before there was Vampire there were games where you only rolled (gasp) one die at a time. I think some people still play them; the d20 features quite a lot. But the last time I played a single die roll system was before I ran Vampire and became a (resentful) slave to the World of Darkness. That was Cyberpunk 2020. And that was one of the best campaigns I played in my undergraduate years. There are some things I don’t like about CP2020 but rolling 1d10 isn’t a problem. No watching players drop a handful of d10s only for two to skitter under the sofa. No hunting and pecking for successes. A simple, linear roll where the probability of success is almost completely transparent. These days I’d favour a percentile system over buckets of dice because it offers the same transparency – and if you’re using criticals and fumbles, a roll of 04 or 99 really means something. It’s immediate; it’s exciting. But despite owning a metric ton of BRP books I never really clicked with percentile systems. However there’s something to be said for 1d10 over d100. Firstly, a linear scale of 1-10 is much more tactile than a percentage, especially when it’s added to stat+skill rather than rolling under an arbitrary number for a binary result. Secondly, in Unisystem (and CP2020) when you roll a 1 or a 10, you roll again to see if it’s really bad or really good, respectively (at least you do in Classic). So there’s a delicious moment where the player wonders if that 10 is going to turn into a triumph over the odds, or if that 1 is going to ruin their day forever. It’s really effective. For some reason I’ve got it in my head that rolling at least 2 dice is mandatory. Because they click together in my hand. It’s some perverse form of gamer OCD. I’m going to try Unisystem for my next one-off (a game I previously ran with Lace and Steel). It’ll be interesting to see how my players react. We broke the lid of the teapot. So it holds dice now. And we make tea in a stainless steel teapot. One of the consequences of international travel is screwed up sleeping for a few days. It’s 5:45am now, and I’ve been awake on and off for about 3 hours. On the plus side, I looked at the goodies that were waiting for me: a copy of the All Flesh Must Be Eaten revised rulebook together with One of the Living, Atlas of the Walking Dead, and Eden Studios Presents (vol 2) which is a sort of digest for all of their Unisystem lines (and in many cases shows how they interoperate). Kurt Wiegel of Gamegeeks is a self-confessed Unisystem fanboy. Gamegeeks’ first review was AFMBE. There are a load more reviews for AFMBE products on their site. And I am a self-confessed Gamegeeks fan – Kurt’s reviews are (nearly) always positive, well informed and entertaining. Like the Angel RPG, I bought AFMBE on the strength of the value proposition in the reviews. And although I have only skimmed the books, I haven’t been disappointed yet. Just like Angel, AFMBE really manages to balance flavour, setting and system in a very concise fashion. The editing is good quality – no screeds of bad prose (hello, World of Darkness), no ambiguity, no digging through a thousand words of text for one crucial fact. The book size is a hair larger than my copy of the Savage Worlds Explorer Edition, which makes it much better to hold when reading. The all black and white internal art is the only questionable part of the game (well, that and the list of zombie films – no 28 Days Later? Come on!). The best part of the system is Zombie Creation. It’s a very flexible, high value system for making up antagonists, geared towards zombies but could be used for any genre. Categories include weak spots, how fast the monster moves, and how it transmits the zombie virus. It’s point based with the overall intention of matching monster power with PC ability, which is a rare thing. The other commendable area are the Deadworlds – game or campaign settings. There are a bunch in the core book and more in One of the Living. Basically they give a particular concept for a campaign (where the infection came from, how people react), the zombie antagonist for that world, and some brief adventure ideas. Perfect for someone like me who doesn’t need a scenario, but does benefit from ideas. The Deadworld concept doesn’t go into creation in the way the Zombie Creation is points based, but it’s a good start. 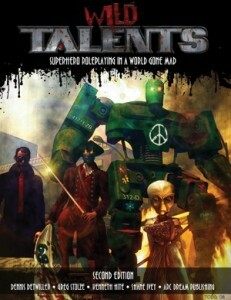 (I wonder if the Wild Talents chapter on building superheroic history could be applied here). I’ve been thinking about a zombie game for a few years now. The problem is it’s a genre that (I believe) cannot be run in a narrative style simply because the GM needs to be able to kill their PCs. It needs fear checks, and it needs players to keep track of ammunition. I didn’t have time to develop something that did all of this, and was also fast. AFMBE gets these details right, and it fits right into the Unisystem line – even giving some scope for a cinematic unisystem zombie game, which would be my preference. I don’t like franchise games, or expect them to be any good – I particularly don’t expect the system to be any more than an afterthought. But from what I’ve read so far it exceeds expectations. I have to say, I love that cover – although its similarity with the cover of early 3rd Stone issues makes me wonder if it’s deliberately targeting wiccans. It’s difficult not to see Witchcraft as anything other than a me-too product. It’s 8 years after Vampire and 6 years after Mage: The Ascension, the game that it’s most comparable to. It’s well written, sure, and it has a more coherent framework for a campaign. The layout reminds me of 1e VtM, though the interior art is superior. Overall for supernatural games you pick your poison. They all provide secret societies, antagonists, monsters and personal horror. If you want something towards the human investigator side there’s CoC or Chill; if you want occult supers there’s Nephilim; if you want modern angsty horror supers there’s the whole World of Darkness. Witchcraft balances WoD’s personal power/horror with Chill’s creature features really well, but it will always be the poor sibling of WoD because it came late. I do think it has a superior system though, and you can’t argue with free. Interestingly in the post-WoD modern fantasy landscape it’s one place where other games can differentiate themselves from the White Wolf legacy, and I wonder how the FATE based Dresden Files game plays (preview here). Oh, and Gamegeeks have reviews of Witchcraft and the Dresden Files rpg. I’m not sure if either Witchcraft or the Buffyverse games are being printed any more. There certainly won’t be new Buffyverse game materials written following Eden Studio’s settlement with Fox in 2006. For Angel there’s only the core book and a Director’s screen. I can see why Kurt Wiegel is so keen on the Buffy game. The Cinematic Unisystem is very nicely streamlined – it has fewer skills, just the right focus on supernatural powers and spells. 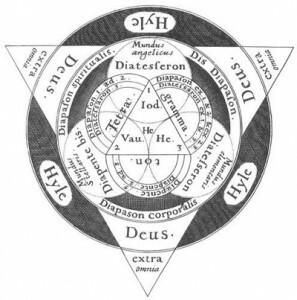 When I read the system in Witchcraft I was underwhelmed at first, but maybe the greatest strength of this system is it doesn’t get in the way. Also, the Buffyverse games feature Drama Points which expand on the Fate Point / Bennies concept. Given that regular Unisystem is supposed to be dangerous for combat, Drama Points are a neat tuning device to make a deadly game less so. This fits with an argument I heard about running pulp genre games – if you want a more pulpy game, just add more fate points. The nice thing about Drama Points is that they’re not just for saving against death; they let the players improve their chances in rolls and even direct the plot. I’m not sure whether they should be flying across the table in the way Spirit of the Century intends, but they differentiate between Champions and Investigators very well (the latter has much lower stats, but a lot more Drama Points – plus they can buy more for less xp cost). can scale monster power easily. 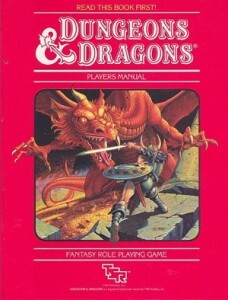 p>The first point means during combat, all of the rolls are done by players – so the outcome of bad rolls is the players’ bad luck rather than the GM’s good luck, and the players then also decide whether to spend those precious Drama Points. I initially thought of this as a 1-off game – but the Drama Points disparity between Champions and Investigators makes experience points more significant. It’s probably best suited to short campaigns, and I’d be tempted to reward play not with xp but with Drama Points (or a mix of the two). 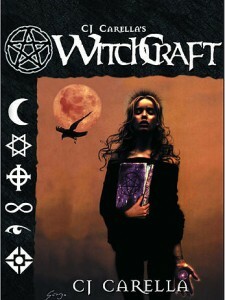 I can see myself running Buffy/Angel, but will I ever run Witchcraft? Probably not, unless I can apply some of the streamlining from the cinematic system. Buffy is normally at full rpg price, but Angel can be found for pennies (presumably because it’s so limited). It’s missing some monsters and some magic (which the Buffy line can fill in the blanks for). But come to think of it, there’s no reason some of the Witchcraft monsters can’t be rendered down into Muscle, Combat and Brains and dropped right in. Bargain!